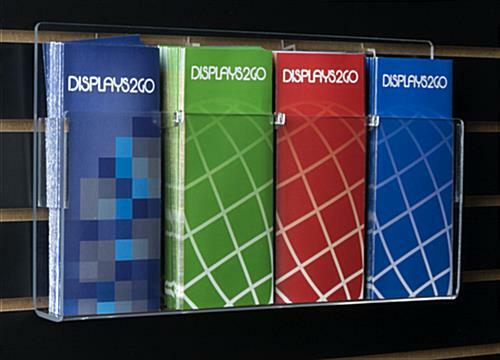 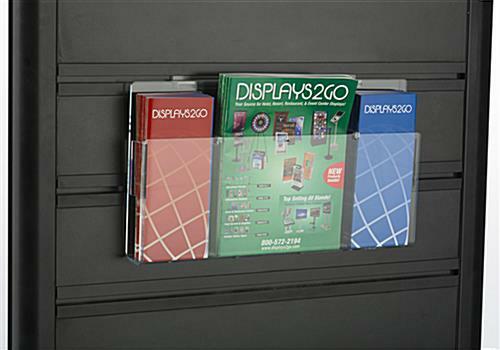 This hanging leaflet rack has a 4 pocket configuration that is perfect for storing trifold publications. 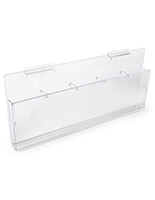 Adjustable acrylic pegs will move to make room for catalogs as well. 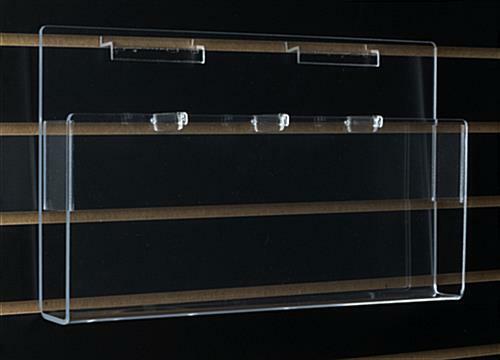 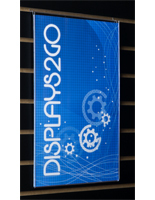 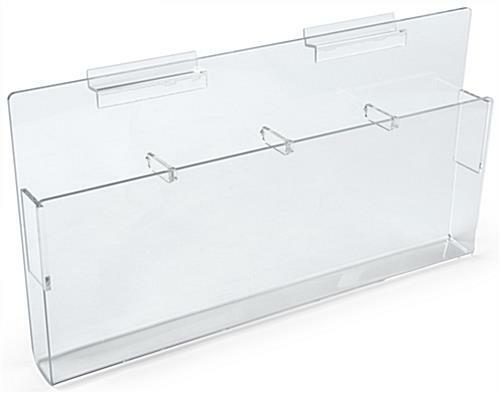 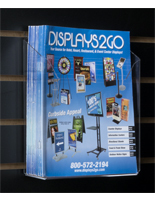 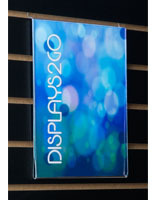 This hanging leaflet rack, such as a clear magazine display, is designed to work with slatwall accessories. 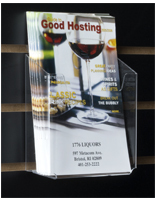 This brochure holder is inexpensive, and especially so when purchased in bulk! 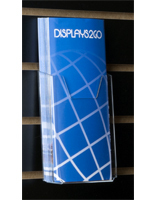 Purchase this hanging leaflet rack for a storefront or salesroom by 1 p.m. to receive same-day shipping!